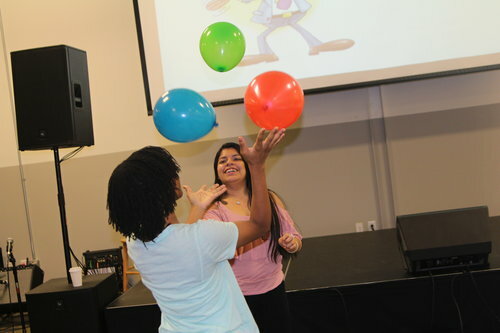 This June marked the second consecutive summer that StepUp Durham supported Partners for Youth Opportunities (PYO) in conducting their Summer Career Academy (SCA). SCA is a training program PYO students are required to complete prior to their placement by PYO at summer internships. The partnership between PYO and StepUp Durham began in late 2015 through an introduction made by ReCity Executive Director Rob Shields. Neither PYO nor StepUp was on the other organization’s radar. StepUp serves adults and PYO serves students 14 and older. Yet Rob saw potential for partnership that resulted in StepUp impacting a greater number of employment seekers and PYO having access to curriculum that could help improve the quality of workforce development training they facilitated. 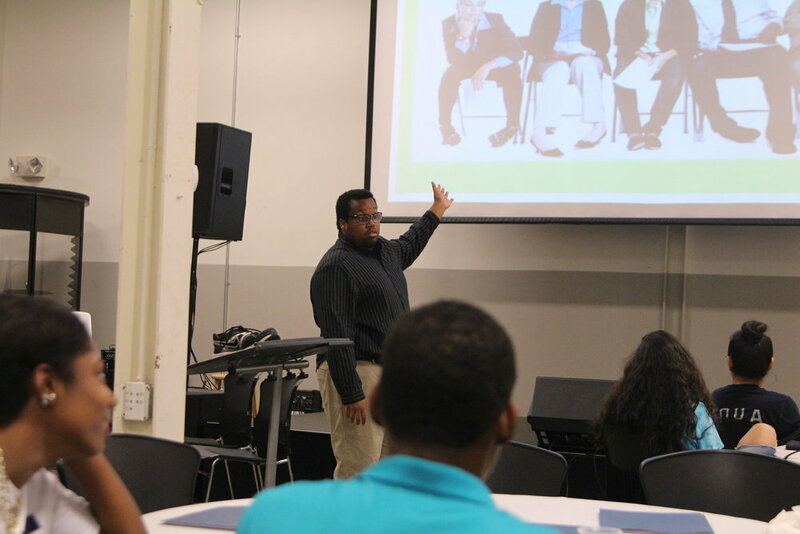 Last summer, StepUp Durham led several modules from its Employment Readiness Workshop to students of the 2016 SCA. StepUp Employment Counselors presented on time management, effective communication, and conflict readiness to 19 secondary and post-secondary students as part of pre-intern preparation. The result was 19 SCA graduates who experienced fruitful internships. The feedback from SCA was positive, and StepUp Durham and PYO agreed to collaborate on SCA 2017 but with a few changes. While it was wise to retain the core of the curriculum and the education style of approaching everything from a workplace perspective, the partners thought that PYO students would be better served by having peer presenters trained by StepUp Durham in the StepUp content. 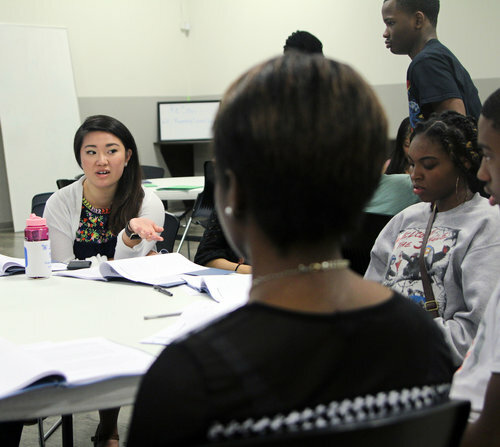 This meant that the 22 students who’d attend the 2017 SCA would receive trainings that has been found reliable and effective in placing hundreds of people in finding employment delivered by trainers who had much more recent experience with being in high school facing the demands of work, school, family, and community. The week ended up being an overwhelming success. StepUp was present during nearly every module to help guide conversations if the facilitators needed support. However, PYO trainers rarely needed any such support. They were professional and powerful every day of the week. PYO student Chamiya commanded the room and had people nodding in agreement while presenting on time management to teenagers. By the end of her training, students had started to name their mission statements and had built a priority driven calendar. On Wednesday, Anthony had each of the 22 students on their feet practicing elevator speeches; the students adeptly named their desired work field, provided experienced based proof of their work skills and abilities, and made sincere offers to stay engaged regarding employment leads. Later Wednesday afternoon, Nandi held the entire room captive with how she discussed using the sandwich method to deliver honest, direct feedback in challenging situations. She also had students asking great questions regarding communicating with empathy while showing cultural sensitivity. Lastly, on Friday, PYO and StepUp volunteers closed out the week by giving multiple mock interviews to each of the 22 students who graduated. The interviews focused on everything from how a person was dressed to how he or she answered interview questions. By graduation on Friday, every student had experienced employer-focused training on obtaining and maintaining employment. They had a professional resume and headshots taken by Blest Studios, another ReCity partner, for their LinkedIn profiles. Lastly, students were given a graduation certificate and had words of affirmation spoken over them to celebrate their completion of SCA. The students graduated feeling confident and powerful. And as of Tuesday, June 27th, that spirit of empowerment and professionalism has remained present in the students’ internships at organizations such as: SEEDS, NC Mutual, Welcome Baby, Kids Vote in Durham, Durham VOICE, Durham Farmer’s Market, Low & Behold Natural Beauty Care, Museum of Life and Science, Durham Arts Council, DCIA, El Futuro, Don’t Waste Durham, Scrap Exchange, Triangle Land Conservancy, Soul Cocina, and myriad Durham summer camps. Per Workforce Development Director, Carlton Koonce, and PYO and StepUp Durham volunteer, Dan Brenner, the students have seemed “prepared and impressive” as well as “comfortable within employment situations.” Both site visitors are incredibly confident that the students will continue to be successful this summer and beyond! StepUp is incredibly grateful for the opportunity to partner with PYO in serving employment seekers in Durham. StepUp looks forward to a long, bright future of collaboration as both organizations think of fresh new ways of impacting unemployment and underemployment for residents and communities of Durham.